Younger Looking Skin with Infuse Your Skin Cell Youth Actif – new at Infuse Skin and Body. I am in the process of bringing in some advanced home care products for clients who are ready to take their skin care to the next level. 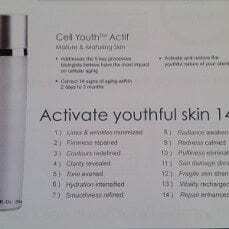 My can’t live without product for younger looking skin is Cell Youth Actif. It is an ideal serum for mature and maturing skin. Cell Youth Actif activates and restores the youthful nature of your skin with an exclusive combination of five anti-aging cell technologies. As its lightweight texture melts into the skin, this serum works overtime to correct 14 signs of aging resulting in younger looking skin. This lightweight serum won’t flake, crack, peel or discolor. Designed to be used at home both morning and evening on clean skin. I am also using this after many of my in spa treatments for skin rejuvenation. It is a great serum to penetrate during a microcurrent or ultrasound treatment and a smooth finish after a microdermabrasion or HydraFacial. 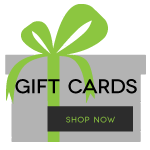 The regular price of Cell Youth Actif is $97. During the month of April, try this wonderful serum for just $75.00. Get younger looking skin with Cell Youth Actif. Please let me know when these products are available to purchase. Thank you. Hi Shirley: They are available any time. You will love them!